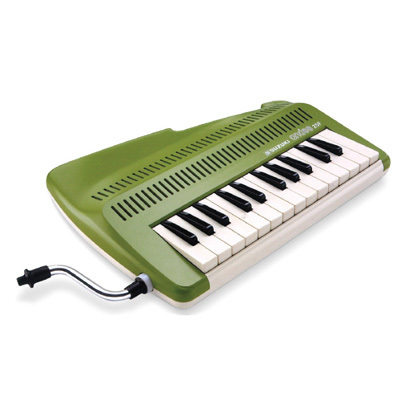 This unique instrument looks like a keyboard but sounds like a Recorder! It's a wind instrument like the Melodion but creates a Recorder sound. But unlike a Recorder, the Andes allows the performer to play chords. The Andes has 25 keys with a range of F2 to F4. Includes a short mouthpiece, a tube mouthpiece and a strap. Dimensions: 17 cm x 47 cm.